The Fiji Islands, touched by a perfect balance of sunshine, rain and tropical breezes allow for the richest coconuts on the planet to grow as nature intended. 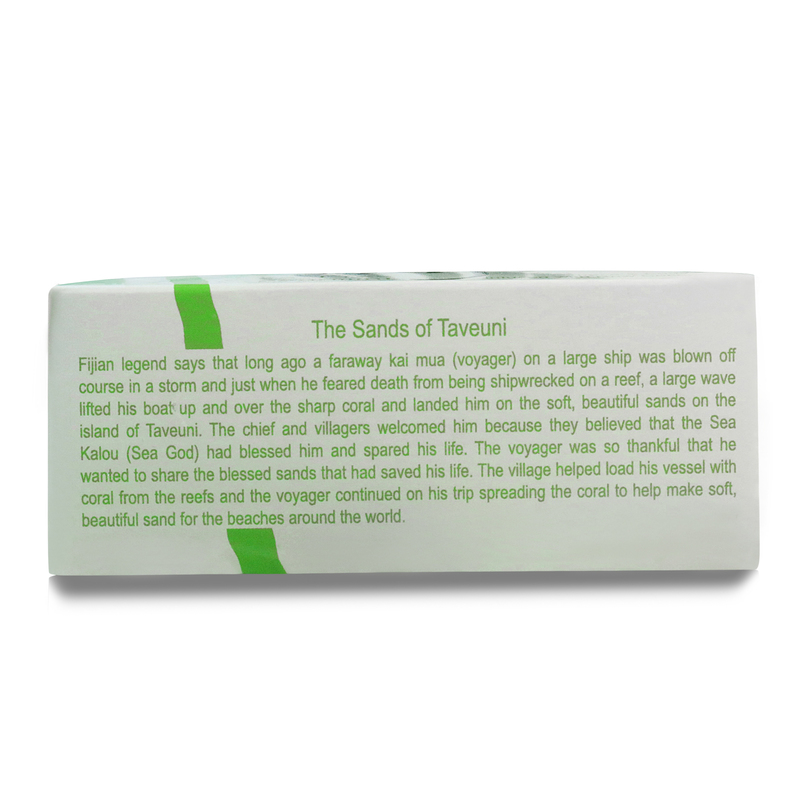 This hand crafted soap is made with essentially pure ingredients, to nourish moisturize and cleanse your skin. 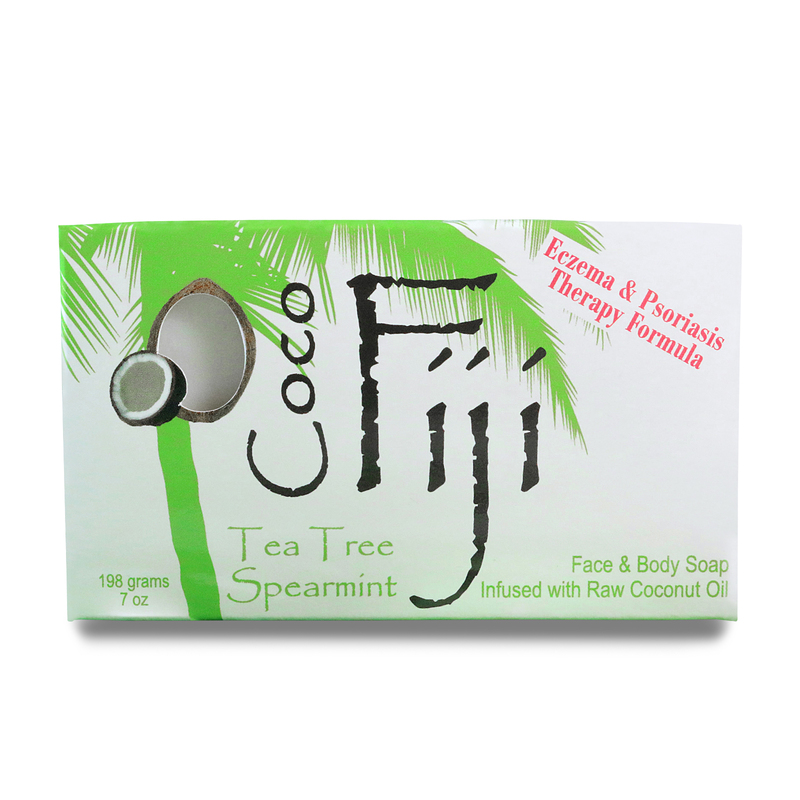 Australian Tea Tree Oil, natures anti-bacterial, combined with the cooling aroma of spearmint to deeply cleanse and soothe problem skin. 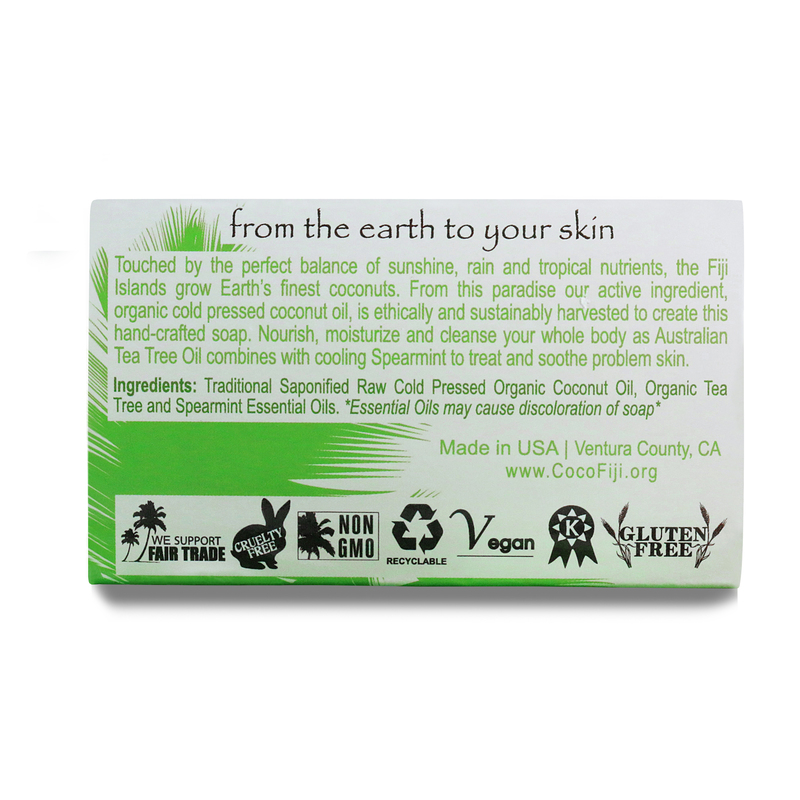 Traditional saponified cold pressed organic virgin coconut oil, certified organic tea tree spearmint essential oils. 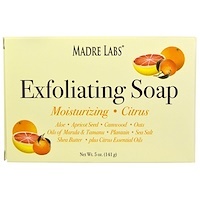 *Organic essential oils may cause discoloration of soap*.